Redesign education to meet the needs of 21st century students. 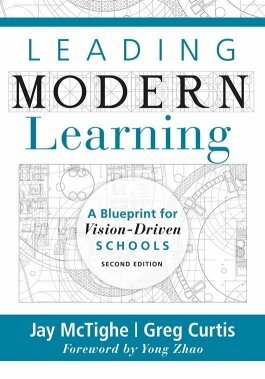 In the second edition of Leading Modern Learning, authors Jay McTighe and Greg Curtis outline a reworked version of their blueprint for major education reform. More than a simple refresh, the latest edition incorporates new insights, experiences, and tools that will help you implement modern learning practices in your department, school, or district. Understand the necessity and value of updating education for the 21st century classroom. Learn how to use a blueprint for your vision of learning, mission, and curriculum development to establish mission clarity and effective instruction and assessment practices. Explore systems thinking and frameworks for backward-design that can be utilized to develop action plans and guide school curriculum reform. Read an all-new chapter on change management and strategic planning for district and school leadership as well as new Notes From the Field, which highlight how to avoid potential missteps and misunderstandings that inhibit progress. Utilize the appendices and free reproducibles to further your understanding of the material in this book.